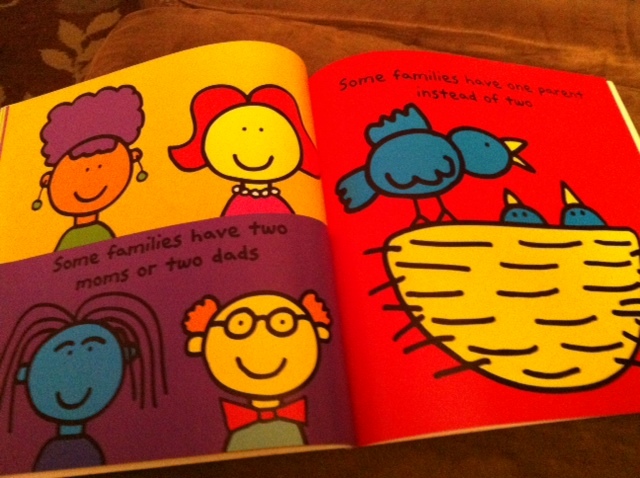 The Family Book was a gift to Evelyn last Christmas from our good friends Ryan and Janet. On this election day, I’d like to assign this book as required reading for all of the politicians and leaders in our country. Start now, you’ll be finished in three minutes (most of you). No time? 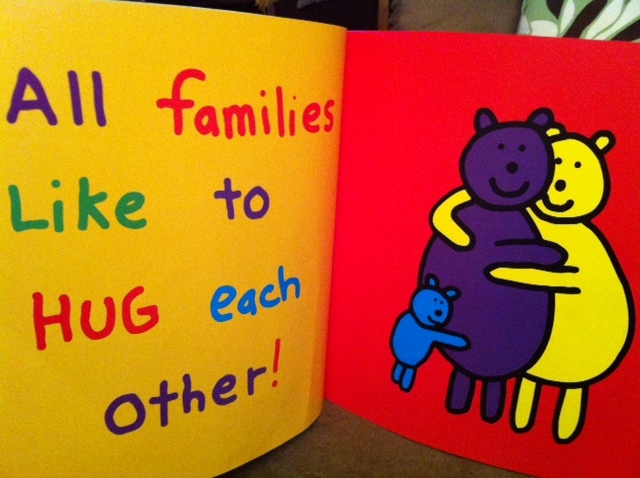 I’ll give you the big take-away: All families like to hug each other. This has been one of Evy’s favorites for awhile now. 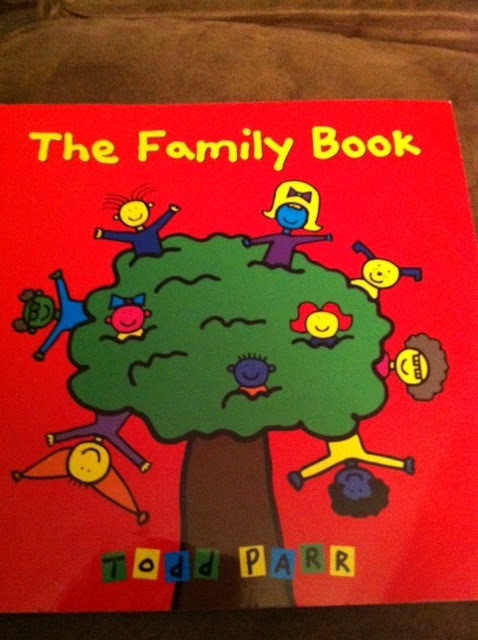 She picks it off the shelf and brings it to us, “famee book! read!”. When we get to the page below she likes to talk about Baby Judah, her little buddy who has two moms. We’re watching election returns right now. Evy is in bed, but I was lucky to have today off to spend with her. We read this book a few times. This election is important. To my family. To Baby Judah’s family. To me and my daughter, my sister, my friends. But you know that.